Sometimes you don’t care about lovingly crafted cocktails or the beautiful people or even 12% ABV beer. Sometimes you just want a drink in a plastic cup. With a view. 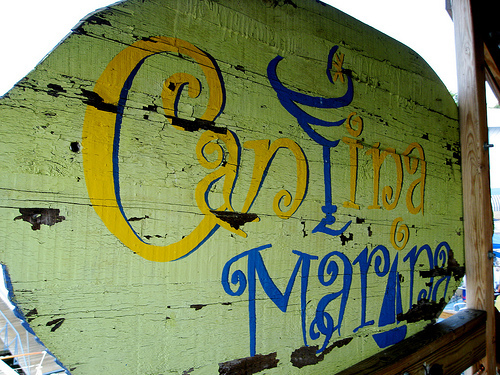 Cantina Marina is the kind of place you could easily find in Florida, a simple almost shack-like atmosphere on the Gangplank Marina, with three sides open to the elements and the waterfront view. This is an extremely casual scene where flip-flops, beach dresses and short shorts reign. 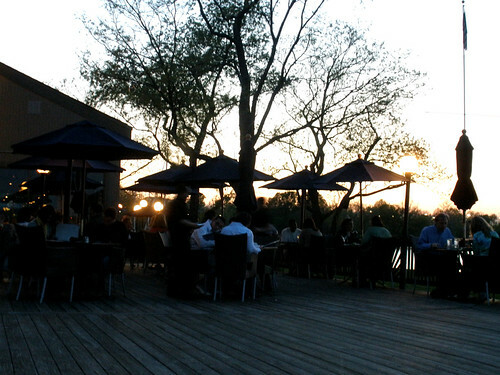 It’s getting to be quite packed now that the weather is warm – whether we’ll ever see sun again is anybody’s guess – but you can easily hang out here on an overcast drizzling day like I did.